Federation of European Biochemical Societies (FEBS) will hold their prestigious congress next week at ICC Jerusalem. The congress will attract more than 1,200 prominent researchers, scientists and doctors from Europe and more than 500 researchers and academics from Israel. Prof. Michal Sharon, vice chairman of the Israel Society for Biochemistry and Molecular Biology, said, "It was a great achievement to convince the organization's leadership to come to Israel, the decision was made at a problematic time, during the military Operation "Protective Edge", when various groups in the world called for a boycott of the State of Israel. Nevertheless, Prof. Abdussalam Azem (Professor of Life Sciences at Tel Aviv University) and Professor Israel Pecht, who served as general secretary of FEBS at the time, succeeded in convincing to hold the Congress in Israel, thanks to its esteemed status in the world, as a leading country for research in the field of biochemistry and molecular biology. " Prof. Michal Sharon added, "The organization's management held a vote, and in the end elected to come to ICC Jerusalem in 2017. As time approaches, the excitement in Israel among researchers and practitioners in these areas is evident. We are preparing for a fascinating conference, and we hope that during the course of it some new scientific discoveries will be revealed for relief of all humanity. " The conference will include professional scientific discussions in such fields as cancer biology, metabolomics and signaling pathways, chromatin structure and post-genetic editing processes, career and education, women in science, and more. Among the conference guests expected to arrive to Israel are Nobel Prize Laureate in Chemistry (2012), Prof. Robert Joseph Lefkowitz from Duke University (USA), who has won a prize for his research of G-protein-coupled receptors, Prof. Carol Robinson from University of Oxford, who studies Membrane protein complexes, Prof. Feng Zhang from the Massachusetts Institute of Technology (MIT), who contributed a lot to development of the CRISPR method for genetic modification and more others. This week, one week before the congress, FEBS is organizing the Young Scientists Forum (YSF), which brings together about 150 young researchers and promotes scientific and social connections between them. Students from all over Europe and Israel arrive at this gathering this week at Kibbutz Ramat Rachel on the suburbs of Jerusalem. 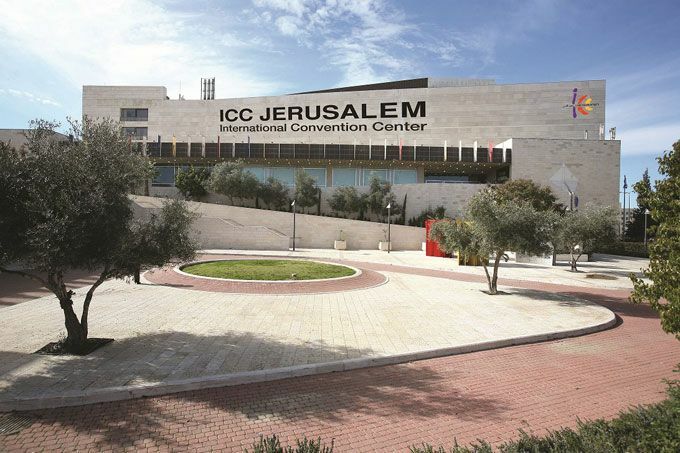 "We are preparing to host this important international conference and are aware of its contribution to the city of Jerusalem, to Israeli science and to the tourism industry," said Mira Altman, CEO of the International Convention Center. Altman added, "The conference tourism has the potential to bring into the Israeli economy over 60 million $ a year." The Federation of European Biochemical Societies and the Israel Society for Biochemistry and Molecular Biology, work to promote and improve research, science and cooperation in the field.